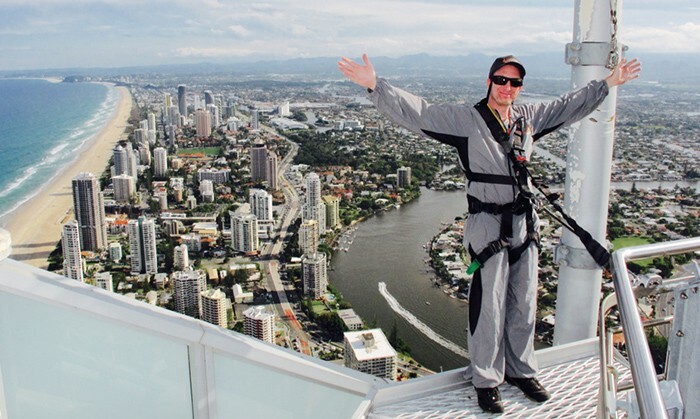 Australia’s highest external building walk, the Skypoint takes climbers on a guided journey reaching 270 metres into the sky on top of the Q1 Resort building. 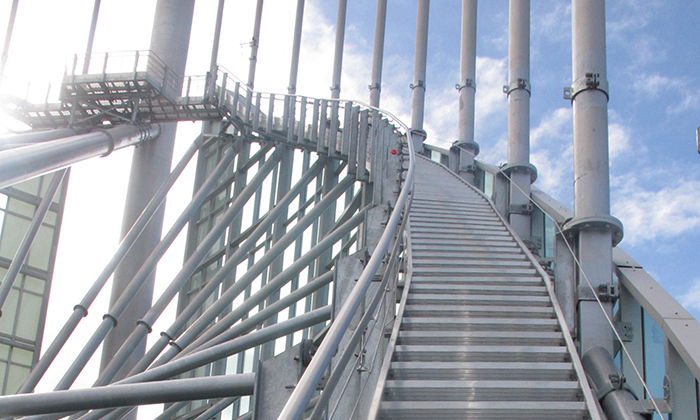 Climbers dress in a full body climb suit before they step into the open air via SkyPoint Observation Deck on level 77. 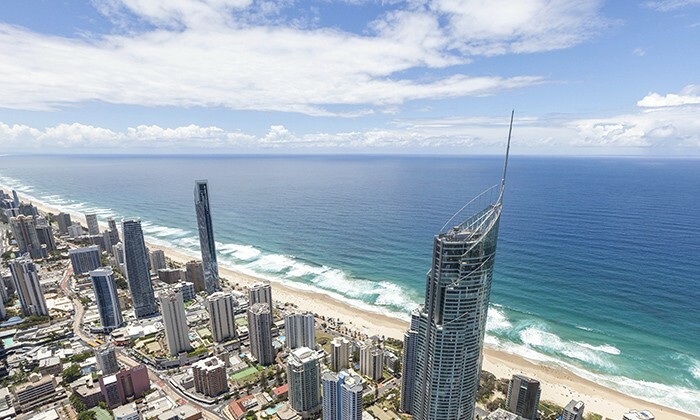 Along the way, your guide will highlight major landmarks and share some of the region’s best kept secrets as the group takes in spectacular uninhibited views of Surfers Paradise and the Gold Coast. From $54 per person. 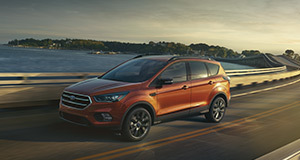 Click here for the latest prices. 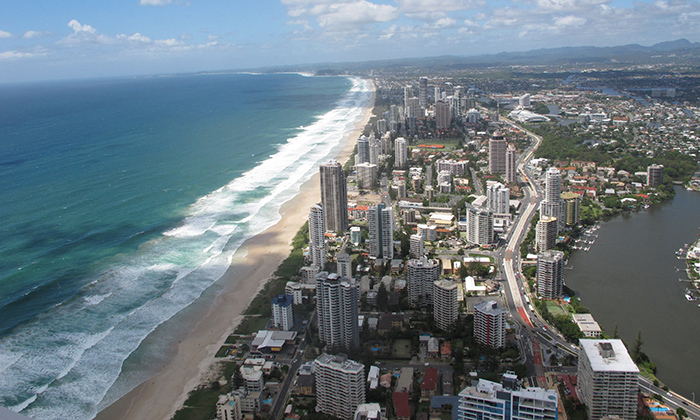 Burleigh has a seaside village atmosphere and village type shopping with boutique shops selling many locally made items and specialty designs. The centre of the neighbourhood is James Street, a village consisting of cafes, delis, hairdressers, retailers, chemists, restaurants and charity stores. If you're in Gold Coast on a Saturday, head to the Miami Marketta, a huge street food market accompanied by craft beer and live music. 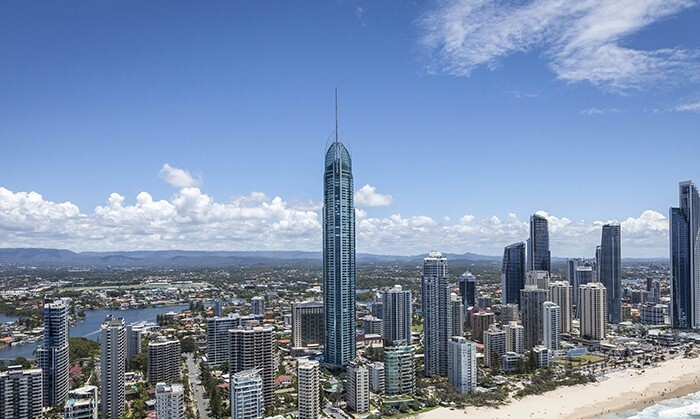 I had a great stay at the modern Peppers Broadbeach, which offers two towers soaring high above Broadbeach, located between the airport and Surfers Paradise. The suites are lovely, as befitting one of those most technologically-advanced hotels in the country! SkyPoint has ample complimentary car parking in the Visitors Carpark under the Q1 Building, via Hamilton Avenue. Complimentary parking is available for the duration of your visit to SkyPoint Climb and SkyPoint Observation Deck only. Climbers must wear fully enclosed rubber-soled shoes such as running or hiking shoes. Sandals and open-toed shoes cannot be worn. You'll also be given a breathalyzer to check for alcohol, so hit the liquor store located at the bottom after your climb! At 322.5 metres high, the Q1 is one of the world's tallest residential buildings, and has one of the world's fastest elevators, rocketing you from the lobby to Level 77 in just 42.7 seconds! This is Australia's only beachside observation deck. 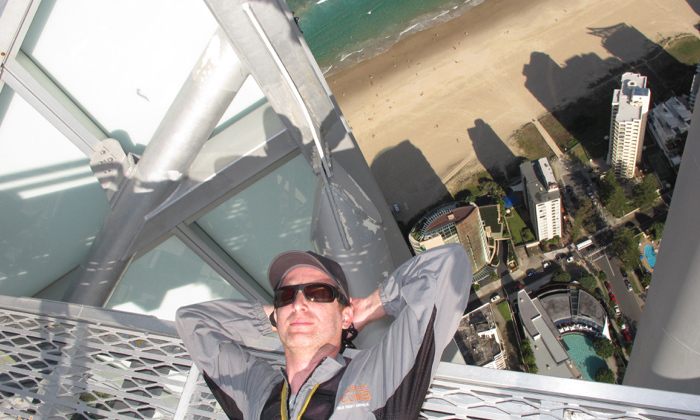 Does the Gold Coast's Skypoint belong on The Great Global Bucket List? Yes, it's thrilling and spectacular! Maybe, depends on the weather. No, there are better building climbs to be found.